Slant D-ring binder holds 25 percent more material than standard round rings. Nonlocking slant-D rings also feature dual opening and closing triggers for easy access to your important documents. Rings are back-mounted so the binder lasts longer. To enhance your presentations from the first glance, clear overlays on front, back and spine allow insertion of custom title sheets. 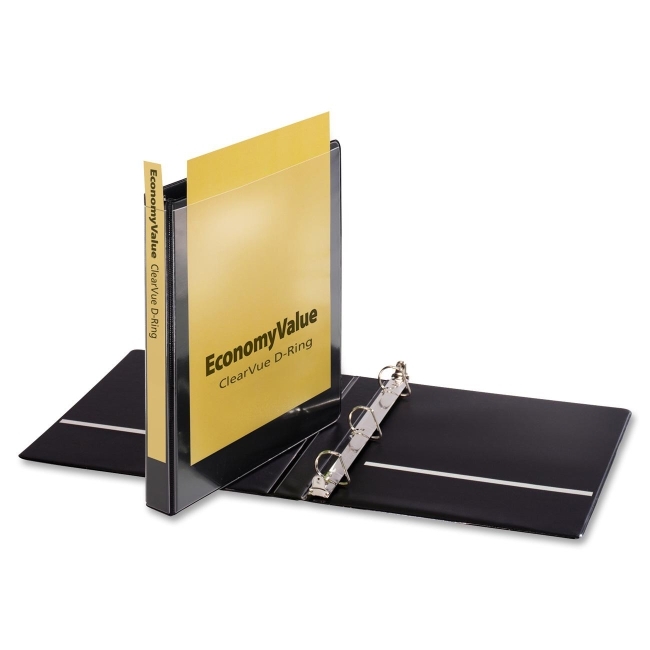 The cover material has a MicroFine, suede vinyl finish for a professional look. Binder also contains a high percentage of recycled material.